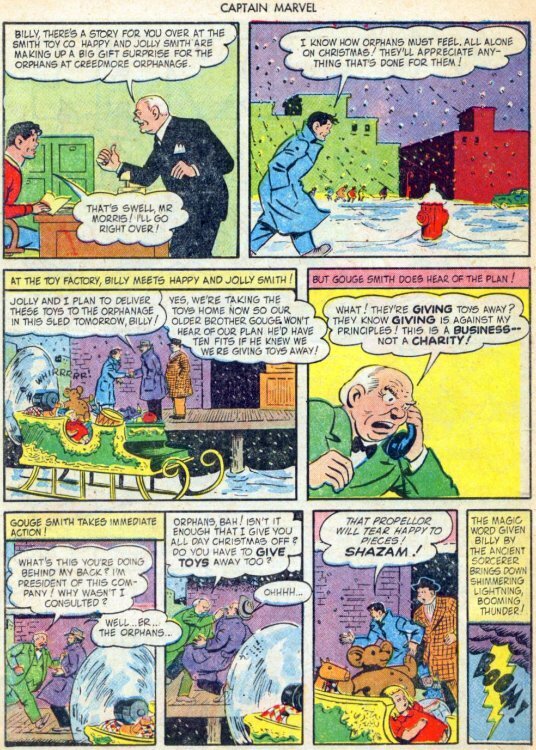 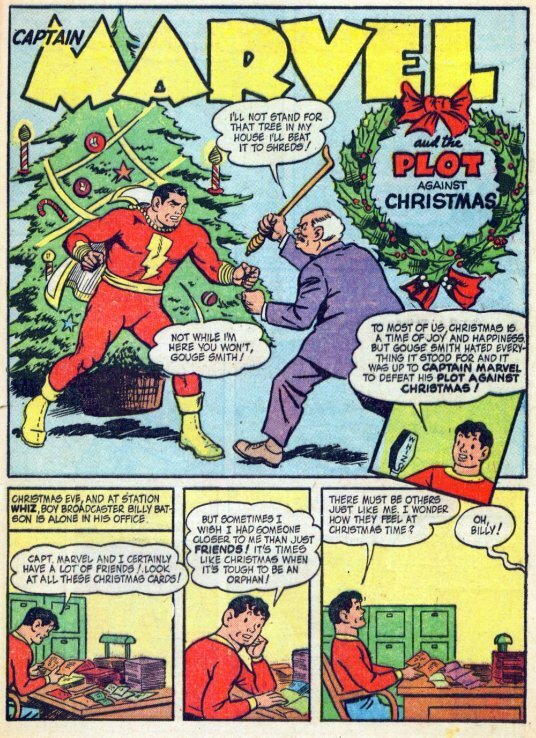 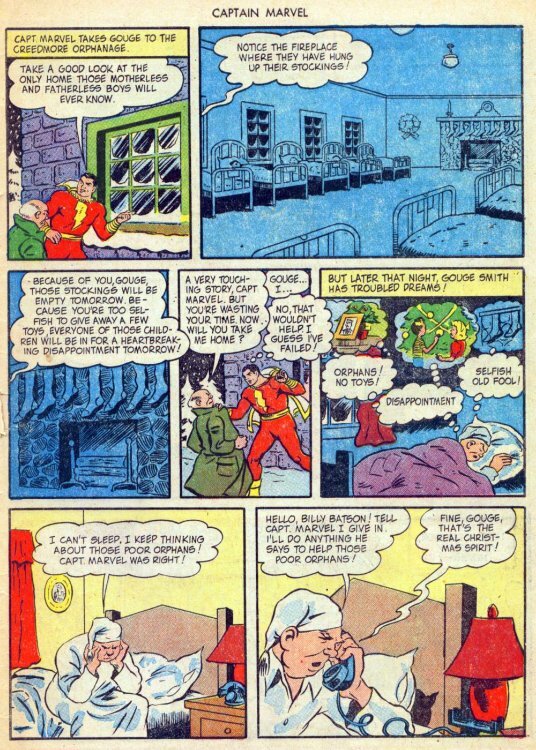 Hero Histories: Reading Room: Golden Age CAPTAIN MARVEL "Plot Against Christmas"
Reading Room: Golden Age CAPTAIN MARVEL "Plot Against Christmas"
...or even the Silver Age android who briefly bore the name. 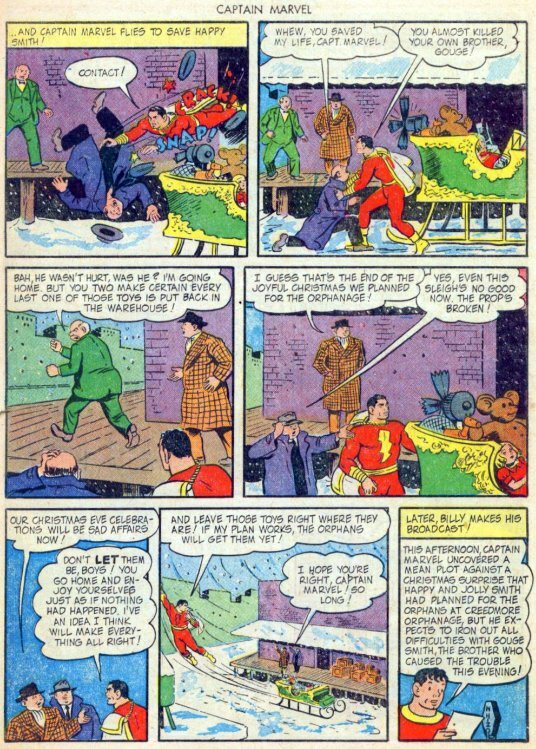 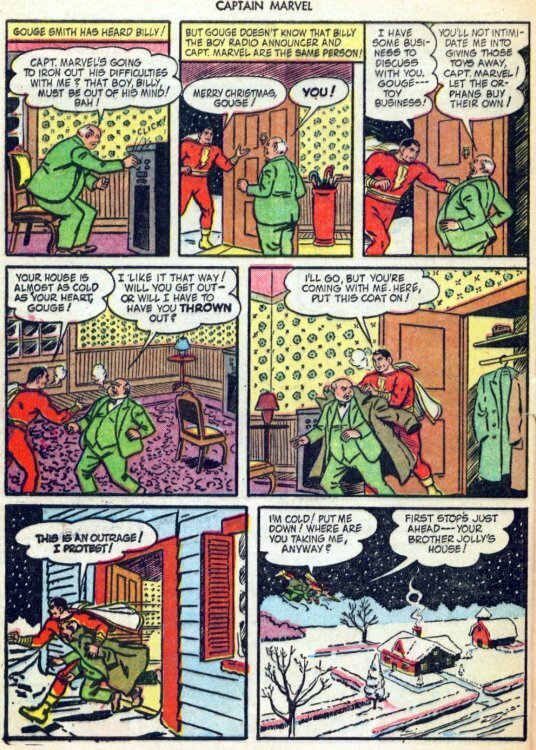 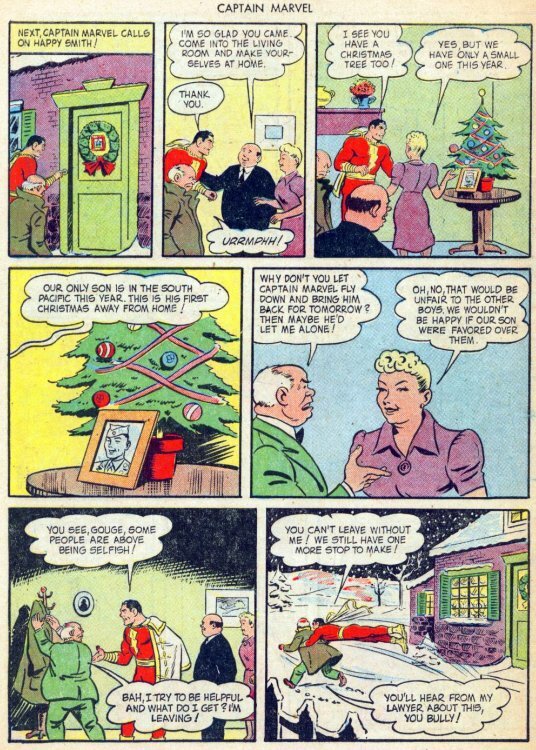 This Yultide tale from Fawcett's Captain Marvel Adventures #42 (1945) was illustrated by Pete Costanza with touchups by C C Beck. 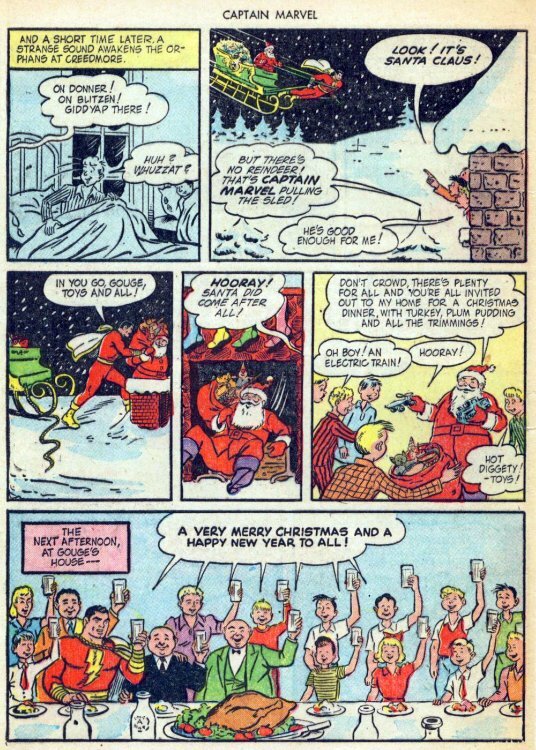 The writer, who owed a great deal to Charles Dickens' "A Christmas Carol", is unknown. 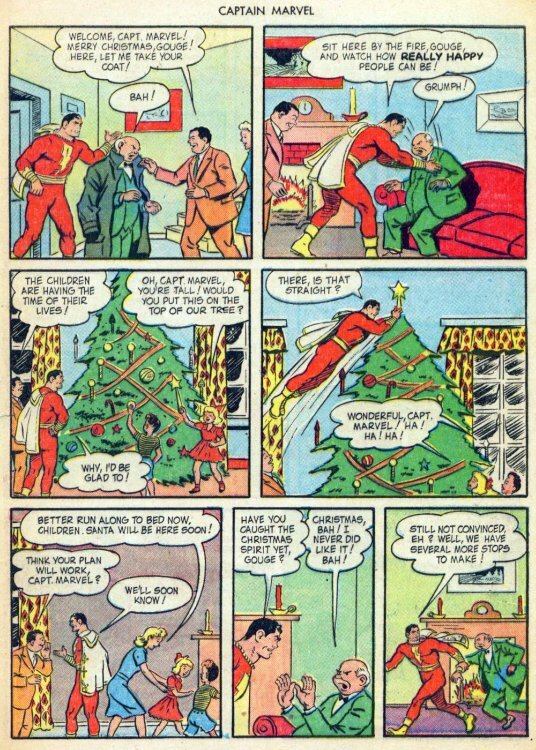 Merry Christmas to you and your own!